On this first day of the official weekend, we hope everyone is having a nice Saturday. 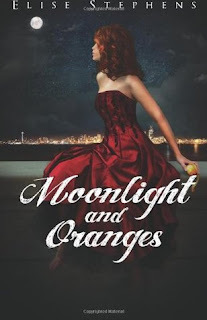 We are one of today's hosts on the Moonlight and Oranges Blog Tour presented by AToMR Book Tours. Don't forget to enter the giveaway below and thanks for stopping by! A timeless tale of young romance. Lorona Connelly is ready for a change from her carefully planned, bookish life. When sparks fly at a costume party, she embraces a chance for romance with the handsome Kestrin Feather. However, she quickly realizes that even love and destiny may not be enough to overcome the reality of an overprotective mother-in-law and Kestrin's long, tarnished history of relationships. When Lorona's curiosity leads her to Kestrin's journal, doubt plagues them both with insecurities and threatens the relationship. Can true love overcome the odds, or was their whirlwind romance just a frivolous crush? Author Elise Stephens shares a journey of young love, fate, and wounded trust in the story of Lorona and Kestrin, a couple who must learn to overcome their fears to share a life together. Elise Stephens received the Eugene Van Buren Prize for Fiction from the University of Washington in 2007, where she also received her degree in Creative Writing. Moonlight and Oranges is her first novel and was a quarter-finalist for the 2011 Amazon Breakthrough Novel Award. She lives in Seattle, Washington with her husband where they both enjoy swing dancing, eating tiramisu, and savoring the flavor of local live theater. 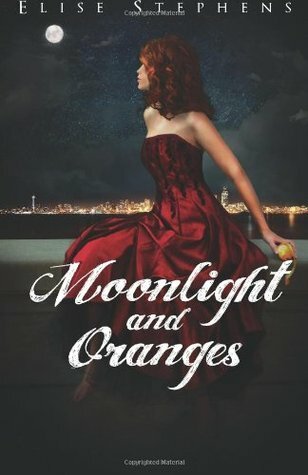 Moonlight and Oranges is an inviting and interesting read. Fans and admirers of Greek mythology may want to check out this retelling of the Cupid and Psyche lore. In this contemporary setting, the shy, bookish Lorona bumps into Kestrin, an infamous womanizer, at a party and the attraction is instant. So instant they marry shortly after. With quick actions, come consequences and the new couple experiences bumps on the road to eternal happiness, especially when Lorona reads something personal of Kestrin's and he finds out. Will this couple find the HEA they want and need? Sorry, you'll have to read the book. With an intriguing opening party scene, I found getting into the story rather easy. There were times I was confused about Kestrin's background but thought the mysterious allure was part of the character's background. Kestrin was charming as was Lorona's innocence. I wasn't convinced at the couple's quick relationship and wedded life since I didn't really get a full grasp of who they were as individuals. Despite the whole fate and updating of a myth, the characters needed a bit more development. I also thought placing the Author's Note at the front of the book instead of in the back would have tremendously helped my enjoyment of the story by having the knowledge the author revealed on those pages beforehand. The story is listed as Young Adult but with the main characters of college age, Kestrin's womanizing, and the ease in which marriage is taken so lightly, I would label this as New Adult and not YA. It is obvious Elise Stephens is a talented writer and I liked many of her scenes, her dialogue was realistic and her spin on a classic myth showed tremendous promise. Without hesitation, I would pick up her next book. Cover comment: I like it. Book source: I received a promotional e-Arc from the author in return for my honest opinion during a blog tour. The book sounds really great. I've been reading some YA books lately and have really enjoyed them. I'll definitely add this to my "To Read" list. I really don't read that much YA, but this seems like something that I would like. I'll have to check it out! I like the cover too! I love the dress in the cover, it is so pretty! I wish that I looked good in halter tops. Thanks for saying that the dialogue is realistic, that was a major peeve of mine with the last book I read.